SEDGWICK COUNTY —Law enforcement authorities are investigating a shooting in which a two-year-old girl was struck in the foot with non-life-threatening injuries while at a neighborhood playground in Wichita and have made an arrest. Just after 10p.m. 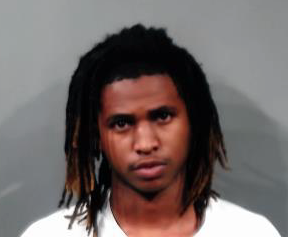 Thursday, police arrested a suspect identified according to the Sedgwick County booking report as 18-year-old Kerry Marque Grant. He is being held in connection with the shooting at the playground in the 3800 block of east Ross Parkway, according to officer Charley Davidson. Grant was booked on charges of aggravated battery and aggravated assault. On Thursday, Police Chief Gordon Ramsay expressed outrage about the incident involving the girl and the lack of cooperation from the parents. He asked for the community’s help in solving the crime. Tips from the community and follow-up by the WPD Violent Crimes Community Response Team led to the arrest. Police continue to investigate the case as well as a shooting that injured a seven-month-old on Tuesday in the 2400 block of north Chautauqua in Wichita. Residents who have information on either case, should call Crime Stoppers at 316-267-2111 or WPD Detectives at 316-268-4407.